GoDaddy has been the world's largest domain registrar since 2005, but it also has its own website builder that was designed from the ground up to create professional looking websites for users of any skill level. GoDaddy uses a unique combination of destruction-free editing, a variety of almost infinitely customizable templates, and back it all up with award-winning customer support. If you're looking to build your own website and you have little to no experience, GoDaddy is an excellent place to start. GoDaddy's website builder has a lot of components packaged in one spot. What that does is make it easy for someone to start off with an inexpensive plan, and then move up as their business grows. The idea is that it will be easy for anyone to build a professional looking website in roughly an hour. But another interesting thing about GoDaddy is that it doesn’t just offer a website builder. Should you feel like you want something different, they also have a managed Wordpress solution, as well as a "do it for you" option called Professional Web Services. It should come as no surprise to anyone that a company that was built around getting other companies to succeed online would have multiple choices to do just that. You don't need to sign up for a plan before you get started with GoDaddy, nor do you have to enter in your credit card information to try it for free. They give you one month to get into the swing of things and see if you like it or not. If it's the latter, no big deal, just go on about your business. That's pretty nice, because sometimes you just want to play around before you pull the trigger on a plan. Once you've begun the process you're off to the races. GoDaddy asks you a few questions about your business so they can set you up with a website template. Unlike some website builders which have you pick a template that you then edit yourself, GoDaddy takes your responses to their questions and sets up a website for you, pictures and everything. Then it's up to you to adjust as necessary, adding and deleting sections or pages to suit your preference. The nice thing is that if you don't like what you create, it's no big deal. Just start over from scratch and you'll be fine. You're not locked into any particular look. It's quite flexible. GoDaddy offers a relatively small number of themes to choose from, but it should cover the bases for your small business, no matter what field it’s in. 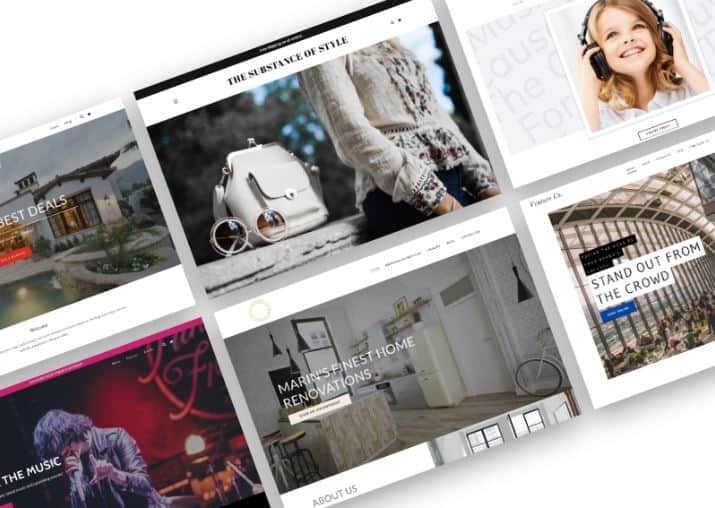 Think about these themes as the "vibe" of your site. They set the stage, but then you can tweak and tune as much as you like using fonts and colors. In addition, there are lots of different layout options for each section that you add, so you don't have to feel obligated to stick with the first selection. As for images, this is another huge strength of GoDaddy: Free stock imagery is included. If you're not a photographer, this is a big deal, and gives you a step above the competition. As previously mentioned, once you've set up your website, you're presented with a website prepopulated with photos and sample copy. But how do you add and delete sections to customize your site? There are 2 methods. The left side of the screen has the website itself, and you can modify the site there if you prefer. The second method is to use the sidebar on the right and click your way through the menus. Both are equally easy to do, it just comes down to personal preference. Another thing to note is that there is no need to save. Your site is saved as you go, so there's no need to stress about whether or not something made the cut before your power went out. If you're online, it's backed up. Another advantage to the system is those themes. With some other builders, if you change the theme or template, all of your customization goes out the window. GoDaddy's Website Builder doesn't work like that, and instead, any time you make a change to the theme the entire site adjust accordingly—including your layouts and content. That's an edge that not every provider offers. Now there is a drawback to all this: There is no behind-the-scenes HTML customization. GoDaddy offers all kinds of website building options, from their Website Builder to Managed WordPress and even services where they'll build your website for you. So if you want to get into the code, you're going to need something a bit more robust, like their Managed WordPress option. Of course, if you're looking for an inexpensive website builder, do you really want to be buried in code? Probably not, which is why GoDaddy came up with a nice compromise: You can add your own HTML, it's just placed inside of an iframe (and if you know enough about HTML to code, then you know what an iframe is, anyway). 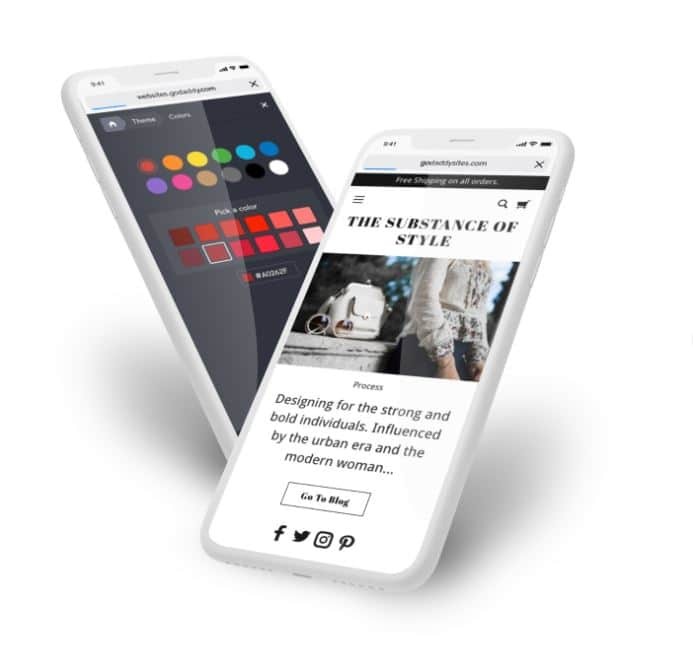 If you want the option of designing your website while on the go, you can even design and maintain your website using a mobile device. One advantage to GoDaddy's Website Builder is that everything you could want is right there from the jump, including 2 big features: Ecommerce and Online Appointments. Ecommerce is fairly self-explanatory. If you want to set up an online store, you can simply do so by adding products. The builder will do all of the magic for you, and build checkout pages and the like based on your chosen theme. All payment processing is taken care of, too, via a robust and secure backend. You'll need to upgrade to the Online Store plan to get all of these options, but if you want to sell things, that's the way to go. As for Online Appointments, that's a whole other ball of wax. Let's say that you do pet sitting and you want a website. Wouldn't it be cool if your clients had access to your calendar so they could book their own appointments? And what if they could pay for them, too? That's exactly how Online Appointments works, and it's a very powerful feature. And what are those payment options? PayPal, Apple Pay, Square and all major credit cards, so everything is covered. So let's say that you've built your website and you're happy with the results. What can you do from there to improve your business? GoDaddy's Website Builder also includes an SEO tool that walks you through your site, suggesting changes to improve your ranking on popular search engines. And one click is all it takes for them to make the changes for you. And how about email marketing? It is the big thing, nowadays, and it's included in their Business Plus tier. Use it to promote your latest products or just the new posts on your blog—it's your choice. One other interesting thing about GoDaddy's Website Builder is that there's no app store like you'll find with the competition. Is that an advantage? The idea is that since GoDaddy builds their own add-ons, there's no need for third-party developers to go in and make their own. And if GoDaddy makes them then they do the maintenance too, so you know everything will stay current and compatible. Ever had a plug-in break because the developer wasn't around anymore or wouldn't maintain it? This is the problem they've avoided. Then there are other odds and ends, like Business Listings, where you can make Yelp and Google My Business listings directly from GoDaddy’s platform. There's also a social add-on so you can integrate your company Facebook page with your website. And like everything, it's also mobile ready with designs that scale to any platform. They are designed to look beautiful and modern on any mobile device. There are a lot of features the deeper you dive, and they add new ones all the time. GoDaddy support is among the industry's best, so should anything come up while you're working on building a website, know that there's someone there to answer your call 24/7/365. And if you're not a phone person, it's no big deal, because they also have award-winning online chat support. One advantage of GoDaddy's decades of experience is their unparalleled knowledge base. It's packed with step-by-step instructions on any task you might need to perform, and even includes video tutorials. And if that's not enough, there are webinars available on a wide variety of topics with the goal being to teach business owners about how to improve their presence online. Along with the knowledge base comes GoDaddy's Help section, which includes community forums. If you've got questions, chances are someone else has asked them before, so this is a great place to troubleshoot. It also has lots of good answers on best practices and the like, and you can even post your own questions if need be. Every GoDaddy Website Builder plan includes a 1-month free trial, so you can give it a go and see if you like it or not, no credit card required. After that there are 4 types of plans: Personal, Business, Business Plus and Online Store. All of them come with 24/7 support via phone or live chat, as well as hosting. The Personal plan starts at $5.99 a month, and includes website hosting, SSL security, rapid page-load performance and a blog creator. The Business plan is up next, and it's $9.99 a month, and adds a PayPal Buy Now or Donate button and SEO tools to optimize your site's performance. 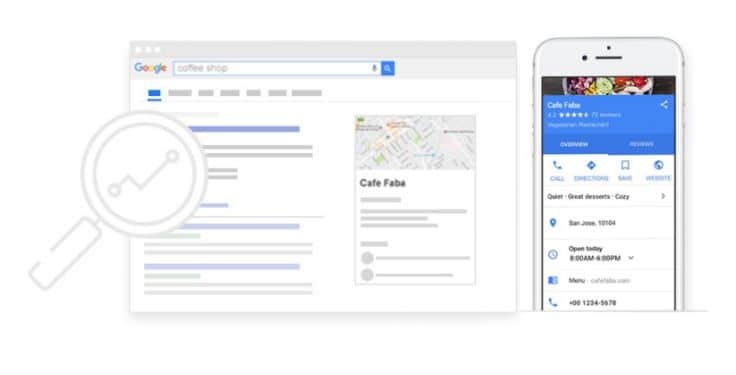 Business Plus takes all that and adds email marketing, Google My Business, Yelp, social media integration, Facebook integration, and online appointment features. That one goes for $14.99 a month. Finally, there's the Online Store plan. It's $19.99 a month and is made for anyone that wants to sell products online. It's got all the bells and whistles of the previous plans, plus a full-featured online store that accepts credit cards, PayPal, Apple Pay and more. You can even set it up to get texts when orders are placed, and create automated abandoned cart recovery emails. So what's the verdict on GoDaddy's Website Builder? If you're looking for a simple and straightforward way to build a professional website quickly, this is an excellent option. Anyone that knows how to get online can build with their tools, and since their customer support is stellar, you've always got backup if you need help. 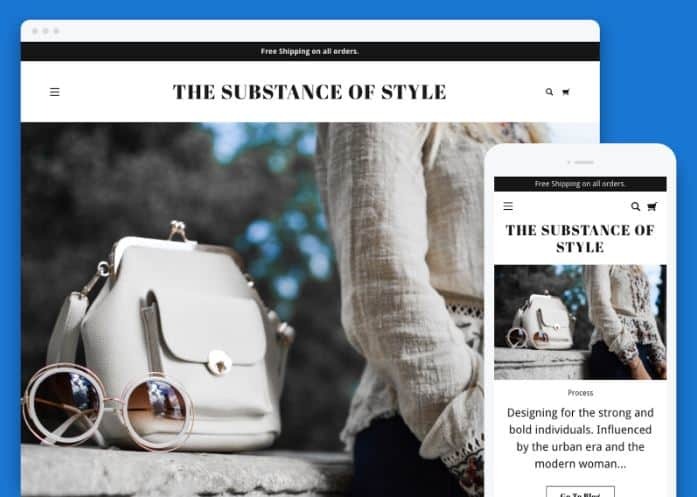 If you want a modern, professional website that has built-in tools that can help you drive business results, then this is a good tool for you.